Everyone knows that the traditional newspaper media has limited value in commercial real estate marketing. The internet just keeps getting stronger and more innovative each year when it comes to property advertising and promotion. It directly follows that real estate agents and brokers really do need to know how to make online marketing more effective and relevant. So what’s the problem? 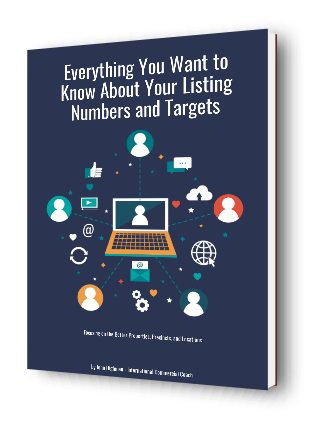 Many agents have little skill when it comes to online marketing and promotion of listings. They just put a listing on the web and hope that an enquiry comes in. Given that it takes a lot of effort to find and convert a listing exclusively, you would think that more focus and effort would be dedicated by the agent to the advertising process. The key fact to remember is that online marketing of commercial property is a process and it is relatively simple providing you know the rules and follow a method of approach. Exclusive Listings Get Better Focus – When you control the listing exclusively you control the enquiry, and therefore the conversions of enquiry to inspections are much higher. If the client is serious about selling or leasing their property, then demand a listing on an exclusive basis (pitch your services accordingly). If the client wants your promotional effort and marketing skills at a high level, then exclusivity is the only way to go. In doing that, vendor paid marketing funds are required. Use the Portals and Your Website – The industry based portals will provide good levels of enquiry for most properties if the listing is correctly marketed and the price or rent is appropriate for the local conditions. Get your listing into a priority placement on the portals; it is a premium choice that is vendor funded. Keep your adverts simple in layout and use dot points – Don’t overload your advertisements with too many facts. You want people to call you for information; on that basis you really should just be putting the features of the property into a series of dot points. Refresh listings and prices – Every 2 or 3 weeks refresh your listings and prices to keep the advertisement copy interesting. That frequent change will help with the search engine exposures. Multiple Advertisements – Any good quality listing that is engaged exclusively should have 3 different adverts created for online placement. That means you can advertise the same property in different portals and websites all at the same time. You are not repeating information in the same format. You can then optimise the potential of enquiry. Professional Photographs and Video – Professional photography will help attract readership. Any property can be photographed with special care taking into account the right angles, video, time of day, night lighting or internal lighting. You can also consider using aerial photographs and high angle shots. Make your property listing relevant and real to the market by capturing the eye of the reader with high quality photography. Plans and Drawings – Property plans are useful when promoting online as a pdf download. The plans help enquiring parties to understand exactly what buildings and improvements are placed on the property and where they are in relation to boundaries. Professional Advert Copy – In any higher quality property promotion, professional advertising copy will help with converting readership. Some of the words used by agents and brokers in property promotion are a ‘rehash’ of typical phrases. A professional copyrighter will help solve that problem. At the very least if you cannot afford such creative luxury, get a thesaurus to help you with advertising words and marketing campaign creation. Social Media feeds – The social media side of commercial real estate can get real traction when you link your contacts to local property information and quality listings. Information is interesting if it is done in the right way. It also helps with listing hits and conversions. Keywords for the Area – Given that you are located in a particular location and that you specialise in a property type, it stands to reason that you can and should select keywords for your property marketing and blogging activities. Those keywords are seen by the search engines. If you are struggling with attracting people and enquiries, start a blog about property events in the local area and link the blog to your listings. Database email newsletter – Given that you should have a database that is up to date and part of your marketing efforts, integrate the property listings that you have online to your database email system. Then you can track the enquiries, hits and clicks for each listing. Stories from the local area – Stories create interest. Use local stories in your marketing efforts through your blogs and in online article publishing sites. Talk about the commonly interesting facts and changes to the property industry such as zoning, roads, property supply and demand, improvements and changes to property use, and building use. 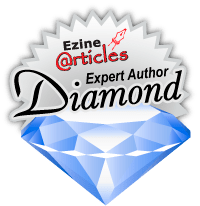 Cross links to sites and articles – When you place a property onto the internet, it pays to consider some cross linking from the listing to other websites and useful information. You can integrate local site such as the municipal council, building information, transport information, plus many more useful local factors. Cross links to other sites shows the search engines that you have a local informational bias and therefore your site and listing is more useful. That can help your rankings. So there are plenty of things that you can do here to boost your marketing efforts online in commercial real estate. Spend some time in building your personal profile online as well as that of your listings; it is a special promotional equation. The benefits to you will likely be better enquiry and inspection conversions.